Need ideas for a ski trip this winter? Here are some ski destination lists and deals to inspire. TripAdvisor’s ski list focuses on overlooked and under budget destinations. We’re talking resorts like Jay Peak in Westfield, Vermont; Solitude Mountain in Solitude, Utah; Taos Ski Valley in Taos, New Mexico; and Diamond Peak in Incline Village, Lake Tahoe. Orbitz’ list highlights the most popular ski destinations, calculated by hotel and vacation package bookings. Lake Tahoe comes in first, followed by Mammoth Lakes, California; Park City, Utah; Breckenridge, Colorado; and Jackson Hole, Wyoming. If getting a deal is paramount, there are also a number of offers to look into this winter. Avid skiers in New England may find the Powder Passport more economical than individual lift tickets. Vacation rental company ResortQuest is offering a snow guarantee that allows people to switch destinations if snow conditions aren’t good enough at their pre-booked location. Ski.com has teamed up with United to offer a kids fly free deal, good for children 12 and under skiing with their families at select resorts in the Rockies. 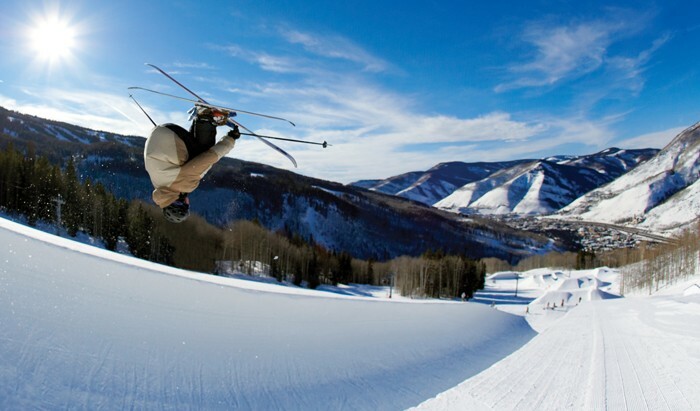 That deal also includes free skiing and equipment rentals for kids at Vail and Beaver Creek resorts.